Why is deashibarai the first technique of the gokyo? I have wondered this for a long time, and (in my spare time) sought an answer. I've come up with a couple of possible answers. The timing and footwork and mechanics of deashibarai teaches the timing and footwork and mechanics skills for all the rest of the throws. Deashibarai is easy to teach beginners to throw in a controlled manner so that the thrower can act as a spotter for first-day fallers with highly imperfect ukemi skills. I demonstrated just last night that with five minutes of sit-and-rock and controlled backfall instruction and 5 minutes of technical instruction on deashi, first day beginners can practice throwing and receiving deashibarai in a mutually beneficial manner. These same beginners spent about 20 minutes during their very first class doing real randori with deashi. Win! 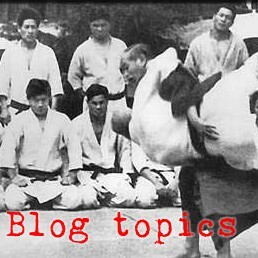 For a long time - basically forever - we've heard and taught that shomenate is the first thing we teach in Tomiki aikido because it is a good backup plan whenever the other techniques go wrong, and that the mechanics of shomenate teach the mechanics of the rest of Junana. I'm not sure, though, that is the whole story. 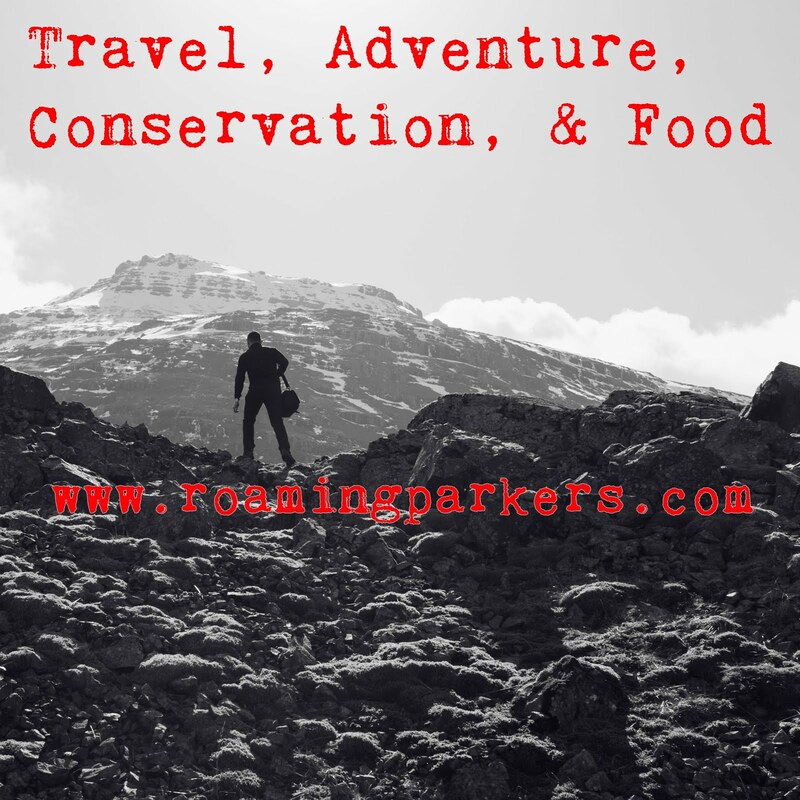 What if we look in larger, broader chunks? We're not really teaching (just) shomenate first. We are teaching atemiwaza (what the rest of the aikido world calls iriminage) first - and that is a great first lesson that handles a ton of problems. Basically it is a programmed response that says, "Any time an attacker gets inside ma-ai, get slightly off line, grab his face however you can, and throw yourself on top of him." Shomenate is one of several forms of atemiwaza/iriminage that we teach first, but gyakugamae-ate has some benefits for first-day practice that suggest we might save shomenate for a bit later. 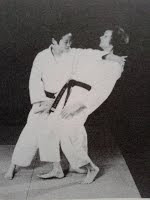 Gyakugamae-ate places us in the much-preferable shikaku (behind the arm) position, which we would like to teach early for self-defense reasons. 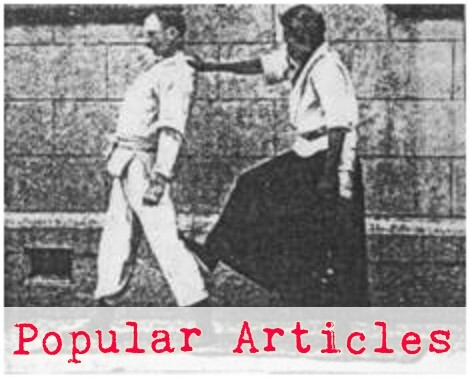 Gyakugamae-ate allows the first-day thrower to help the first-day faller to the ground in a controlled manner to a much greater degree than shomenate. Shomenate is more of a smash-your-way-out-of-a-bad-situation backup technique. Guess what we're going to be working on tonight at aikido class and Thursday at judo class? What's jo got to do with it?